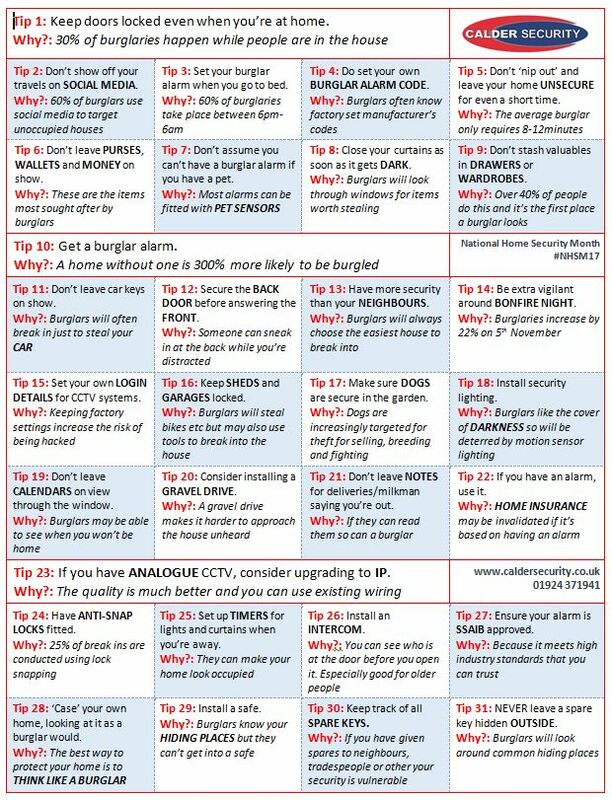 Over the last month we have shared a range of advice about home security including a tip every day which we’ve posted on our Twitter and Facebook pages. Now that National Home Security Month is over we’re pleased to be able to provide all these tips here together. See the full list below or download our handy sheet. All these tips are designed to be little snippets of things you can do fairly easily, many of which are low or even no cost strategies. We hope that you were able to take a few ideas from these tips. Please let us know if you did anything different as a result of seeing them! You can see everything we’ve created for #NHSM17 here. previous A different kind of intruder setting off the burglar alarm?